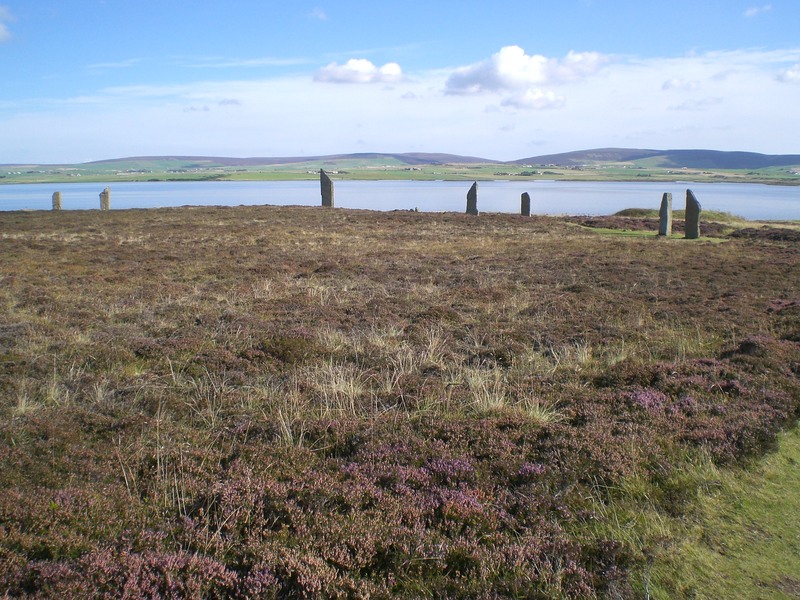 Yesterday, the BBC reported that someone has vandalized the Ring of Brodgar, one of the many—and certainly one of the most spectacular—ancient sites on the Island of Orkney. At 341 feet in diameter it is the third largest stone circle in the UK, and is one of the most impressive sites in the whole of Europe. According to the BBC, “A tour guide discovered the initials ‘AA 2015’ scratched into one of the stones”. Why people feel the need to leave their mark on things, especially when it means the desecration of an ancient and sacred site is beyond understanding. I have previously written about touching and climbing on ancient sites here. The Ring of Brodgar, from the Old Norse Brúargarðr, “Bridge Farm” or “farm by the bridge” (probably referring to the nearby land bridge now called the Ness of Brodgar) is the accepted spelling of the site and is the closest to the Orcadian pronunciation, although it is also known as the “Ring O’ Brodgar” and sometimes spelled “Brogar”. It is a henge and stone circle (most henges do not contain stone circles) from the Neolithic age. 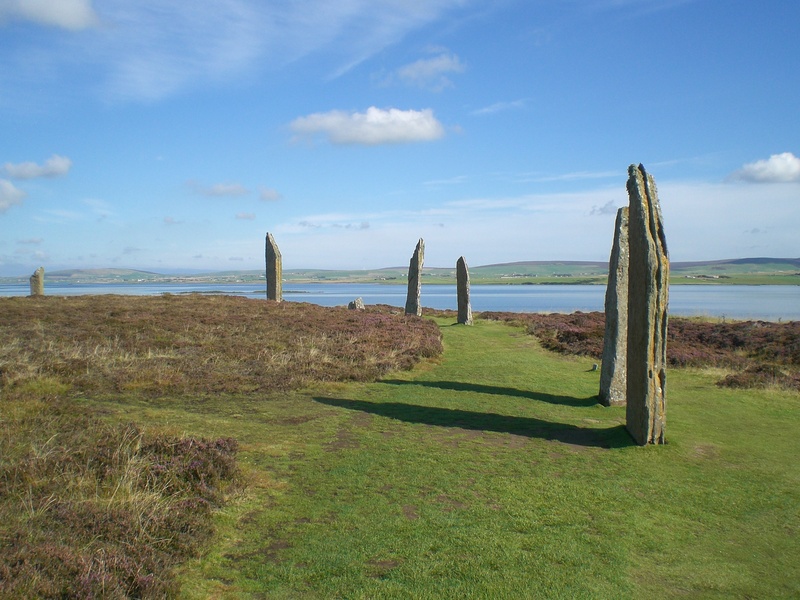 Located on the largest island in Orkney, commonly referred to as the Mainland, The Ring is part of the “Heart of Neolithic Orkney” World Heritage Site. 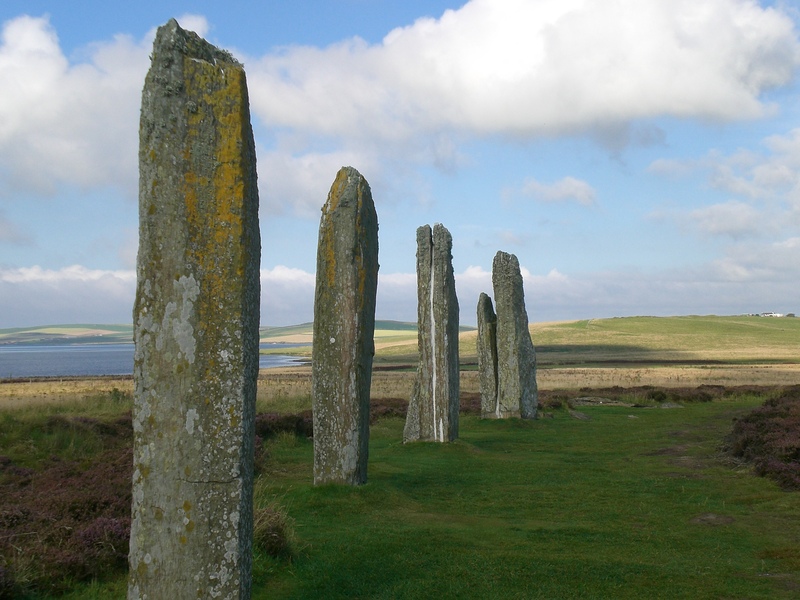 Built between the Loch of Stenness and the Loch of Harray, only twenty-seven of the sixty or more original stones are still standing and average 13 feet in height. They are surrounded by the henge, a circular ditch that is nearly ten feet deep and thirty feet wide. The circle itself is 1250 feet in circumference. The entire circle was carved out of the sandstone bedrock between 2500 and 2000 BCE and took an estimated 80,000 man-hours to finish. The significance of the few square miles surrounding the Ring of Brodgar is evident in the placement of various sites that were all seemingly designated for ritual. In this area there are single standing stones that are in alignment with other groups of standing stones, four chambered tombs, and various mounds, cairns and barrows. 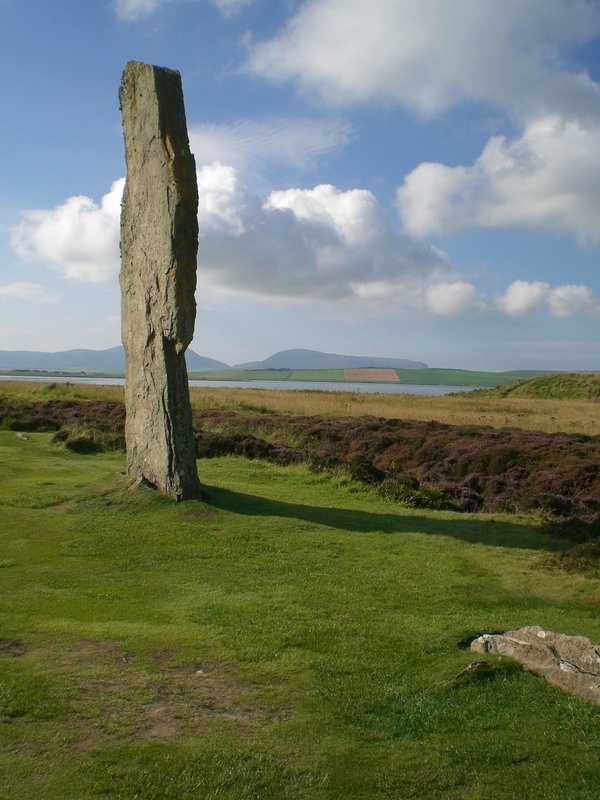 There is a definite alignment with the Standing Stones of Stenness and the tomb of Maes Howe. The more recent excavations on the Ness of Brodgar that runs in between the Ring of Brodgar and the Standing Stones of Stenness have solidified the importance of these sites as being for ritual. The remains of a 330 foot long, twenty feet high stone wall may have been built to separate the ritual area from the domestic area surrounding it. One of the leading Scottish archeologists stated that the person who desecrated this site is a “waste of skin”. I tend to agree. One wants to stay away from judgment and generalization, but certainly there seems to be a heart, soul and mind lacking within this person’s skin. It is my sincere hope that, just as the men (thugs) who pushed over a “goblin” (a delicately perched boulder which took millions of years to form) in the Goblin Valley State Park in Utah (USA) in 2013, the person who carved initials into one of the standing stones in the Ring of Brodgar will be found, charged, convicted and sentenced. This entry was posted in Ancestry, Eco-travel, Ecology, Land trust, Scotland, Scottish ancestry, Travel, Uncategorized and tagged Ancient Sites, Ring of Brodgar, Vandalism. Bookmark the permalink.